I want to introduce you to my room. Inside my room, I have 36 students at any given time. I build relationships with 180 students everyday in this room. I don't know which ones are part of this data, but our School SARC says 90.6 percent of my students receive free or reduced price lunch. There was a time during my tenure in this school when I thought these students will not be able to compete against other students in this country. There are many reasons I felt that way, but that's not important because now I feel a little different. 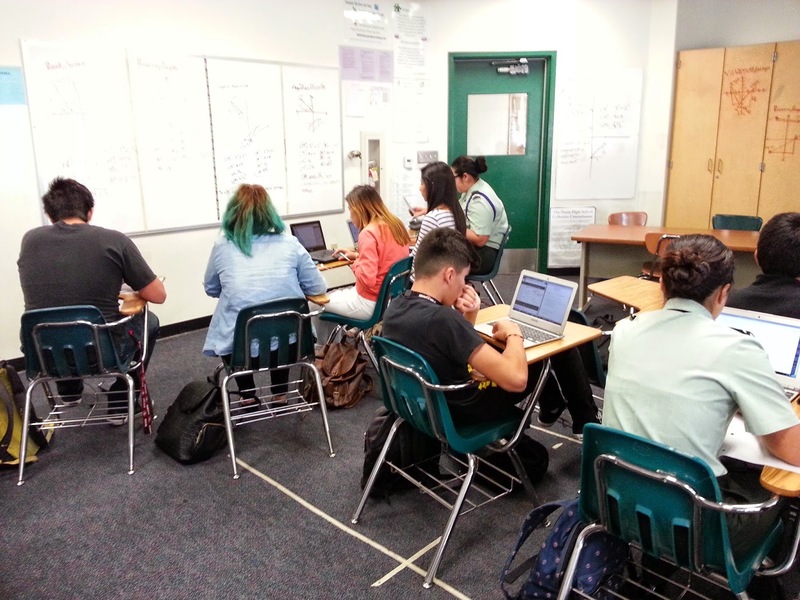 The following article was reposted with permission from Ms. Princess Choi, a math teacher from Perris High School. The original article can be found on her weblog "Let's start blogging!" I am a VERY happy math teacher at Perris Union High School District. And I became really happy in 2013 when our district rolled out Chromebooks for all our students. I don't want to talk about how I am progressing as a teacher as a result of this rollout, even though if you let me, I could go on and on about that. But I do want to talk about my students and how these Chromebooks have changed their lives. I want to talk about my star student. Let's call her Elizabeth. She is not featured in the video, but she says that the Chromebook made her life so much easier. She spends half her time at her dad's and the other half at her mom's. She is an A student in my class. But if I asked her to create a powerpoint presentation or Google slides before 2013, she wouldn't have been able to do one, simply because there is no computer or wifi at her dad's. Today, just like the four groups of students in the video, she can easily create Google Slides and present her plan for her 20% Time. This is all possible because students can take their Chromebooks home with them. When she is stuck with a vocabulary word while studying or she can't remember what she learned in class, she simply plays a video tutorial. When she is at her dad's she downloads the videos to her Chromebook before leaving school. When she is at her mom's she just clicks and watches. But the Chromebook rollout does more than help students learn content and present their ideas at school. This time I want to talk about a student I want to call Jane. Jane has 2 older brothers and 7 sisters in her family. The oldest sister is 17 years old. Jane is another hard worker in my classroom. She is in track. I found out that she does not have a computer in her household. Her two older brothers are 19 and 20 years old. They need to buy a used car and find a job. The district's 1:1 device initiative has connected her family with the world. Elva's family does not have Wifi, but her 17-year-old sister takes Jane's Chromebook to a nearby Starbucks to search for job listings and used car sales. She then gives the information to her two older brothers in hopes that the two brothers will add to the family income. Finally, I want to talk about Sarah. She has 2 older brothers, 1 older sister, 1 younger sister and 1 younger brother. She has a computer at home. But every person in the family needs access to the computer either for work, school or play. In a family of 8, one computer at home is just not enough. Thankfully, her mom and her two brothers have their own laptops. But the rest of the family members would have to fight for access to the computer. 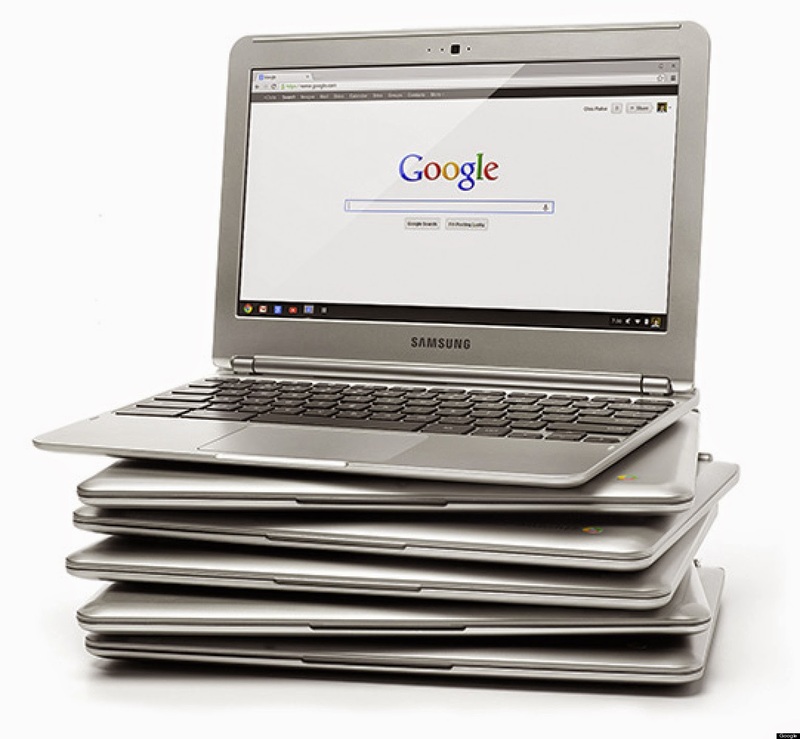 Sarah says the Chromebook has eliminated the need for her siblings to fight over a computer. "My younger sister is a 7th grader at CMI, so she gets a Chromebook too. And I have one. So my youngest brother can just use the home computer and there are no fights". Sarah told me she does many things with her Chromebook, but at home, she uses it to mostly look for jobs and information that gets her curious when she's on social media. At school, she says the Chromebook comes in handy during AVID tutorial sessions. "I forgot how to simplify fractional exponents so I looked it up. It popped up really fast and I was able to go on with the tutorial". I wish I had more student stories to share, but all stories are the same. I want you to remember once again the data I shared earlier. About 91 percent of my students are eligible for free or reduced price lunch. A lot of them don't have a computer at home. Well-meaning students who wanted to find a job or even write a great research paper did not have the means to do so. It wasn't their fault. They were born into the low-income family. Since 2013, all students can do what they want and find the means to do so using the World Wide Web. Now, as a teacher, I have learned that it is my job to make sure that my students use the device to do good for themselves. I am learning to help my students so they can help themselves and not rely on me so much. And you see, this is why I am so proud of working at a Title I school district that provides a Chromebook to every student and allowing them to take those home. Not only are we helping them learn content effectively, we are also helping family members of these students by providing them with a means to search for information they need to navigate their lives.